For the last 4 years, the Green Army Programme has been an integral part of Campbell Page. Funded through the Department of Environment and Energy, Green Army is due to wrap up on June 30th, 2018. Green Army was designed to be a hands-on, practical environmental action program that supports local environmental and heritage conservation projects, whilst creating opportunities for youth aged 17-24 to join teams and learn industry skills and gain qualifications. In partnership with Skillset and TAFE Western, Campbell Page Green Army has contributed significantly to outcomes across New South Wales and Queensland communities. We are extremely proud of the contribution made to both youth employment and the environment. 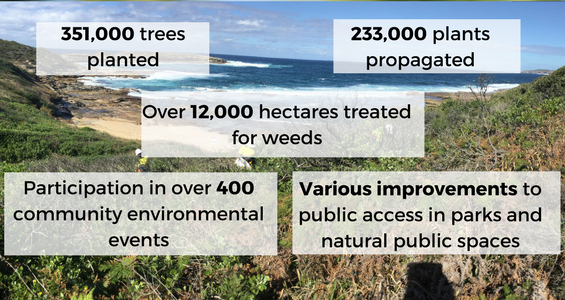 These environmental achievements will be the legacy of the teams for years to come and have significantly enhanced various community landscapes. Our journey through the program has been enjoyable and rewarding, a journey where we feel that we have made a ‘real difference’ in so many ways. We would like to take the time to acknowledge all project partners, community partners, team supervisors and all participants for their contributions made. Its also important to acknowledge the ongoing support and dedication to the program from the Department of Environment and Energy, of whom without the Departments support the program would not have been possible. Whilst Green Army operations completed in March 2018, Campbell Page’s is looking to play a continued role in the many communities we have partnered with through Green Army in other programs and services.